Add some serious swagger to your workout outfit in the FuelCore 5000. The cleverly engineered mesh upper provides a breathable fit that adapts to meet your foot's movement while the REVlite midsole foam offers soft support underfoot and provides premium responsiveness and durability. *Don’t Pay refers to the standard retail price for the same item as reported by Newbalance on 15/04/2019. Extremely comfortable and nice looking. 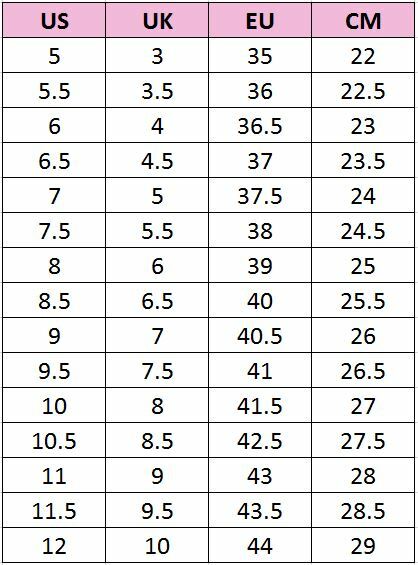 I used the cm table to choose my size they fit my feet perfectly. In love!